I can’t wait to take this food tour of the market. I bet they can add almost every neighborhood of Seattle to this list. I’ll document more of course when I take one, but for now I wanted to keep record of watching more about this on the Seattle Channel. it looks like this doesn’t have coffee or espresso on the tour. shouldn’t a seattle culinary tour have coffee? Seattle Coffee Works is excellent, and I can’t wait to see what more they come up with. I will now have to wait until they are added to the Pike Place Market tour! By popular demand, we will be adding Seattle Coffee Works to the very start of the Savor Seattle food tour of Pike Place Market!We are working out exact details around timing, but keep your fingers crossed for early October. 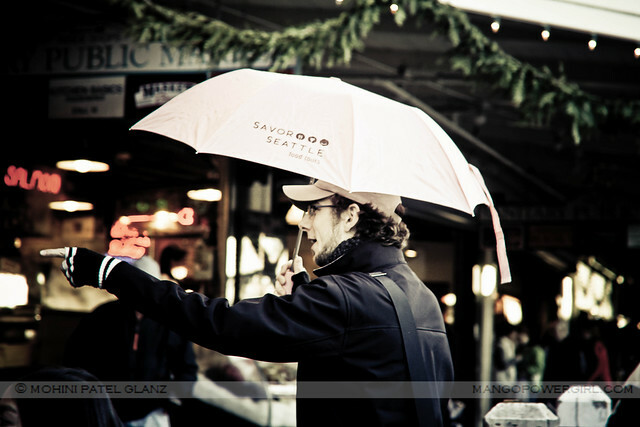 Savor Seattle Food Tours – That is excellent! I can’t wait to take the tour then 🙂 Thanks for stopping by & keeping us updated! I just saw this…The food tour folks have indeed added coffee to the tour: Starbucks’ Seattle’s Best Coffee… not, as they said in an earlier comment, Seattle’s Best Place for a Coffee Tasting (Seattle Magazine), Seattle Coffee Works. The tour to do is the new Seattle Coffee Crawl (www.seattlebyfoot.com) — they stop by our shop and don’t feature one of the chains as “local coffee.” Vicki, the tour guide, is a gem, and the tour is only $15 including tax.